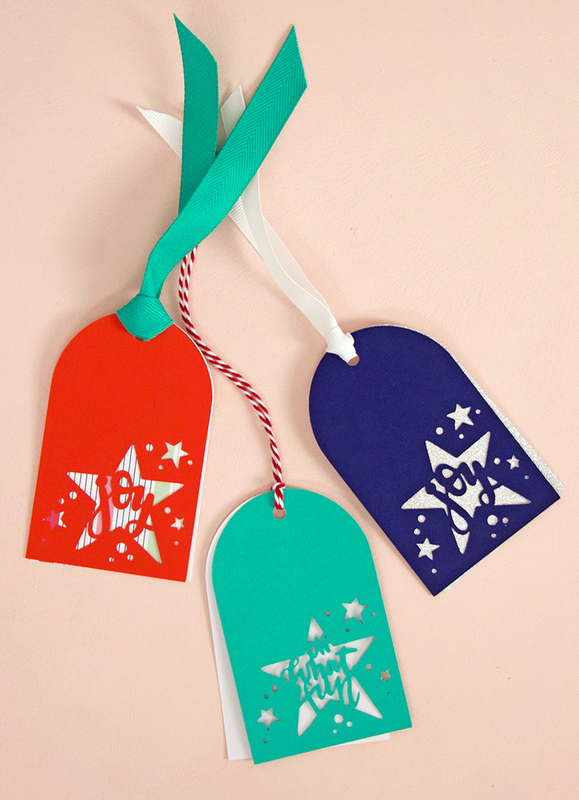 Make your own beautiful paper cut Christmas gift tags using your Silhouette or Cricut! 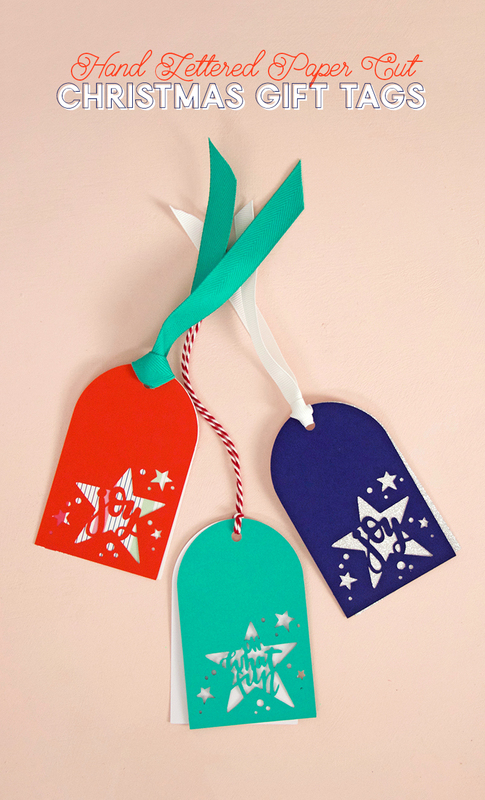 These tags are easy to make and personalize to fit your wrapping paper or Christmas decor. 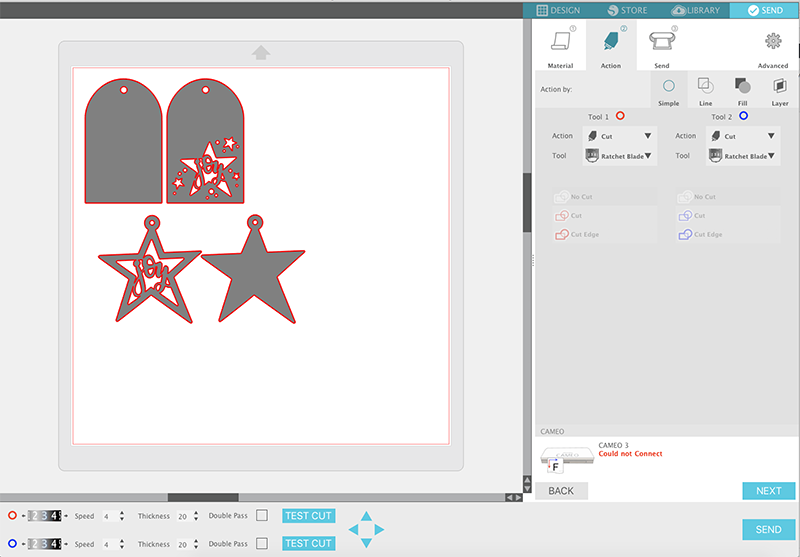 Plus, don’t miss a fabulous deal on 10 Christmas card and gift tag SVG files, available at a reduced price for a limited time! This post contains affiliate links, which help to support this site. Thank you! I’ve said this before, but wrapping Christmas gifts is hands down one of my favorite parts of the holiday. 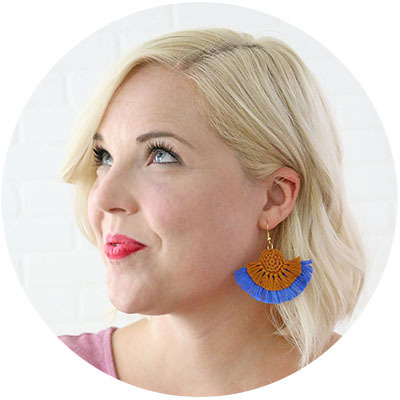 I have already been picking out my wraps and ribbons and planning out my color scheme for the year. I go a little overboard with it sometimes, I’ll admit, but a beautifully wrapped gift is seriously one of my favorite things in life. 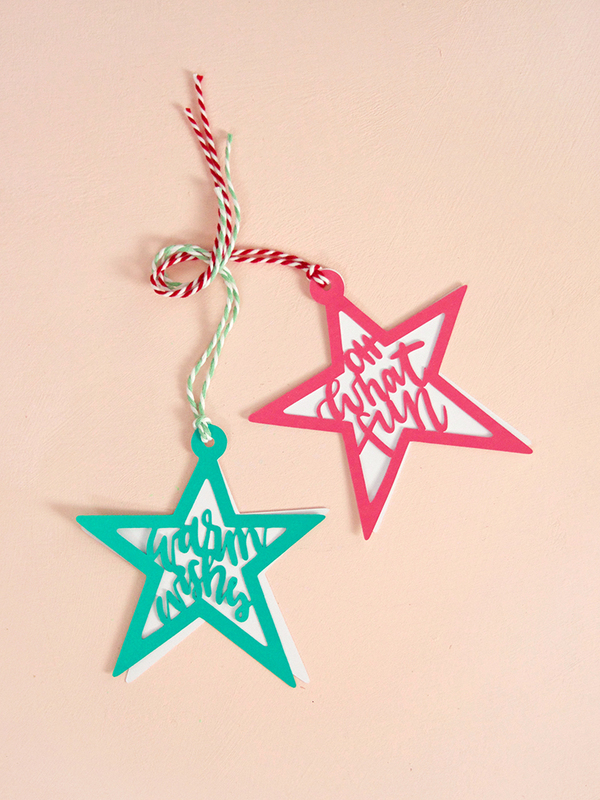 Every year, I like to design some gift tags and I have shared some printable tags on the blog in the past (like these, these, and these), but this year I stepped things up a bit by creating “cuttable” tags. 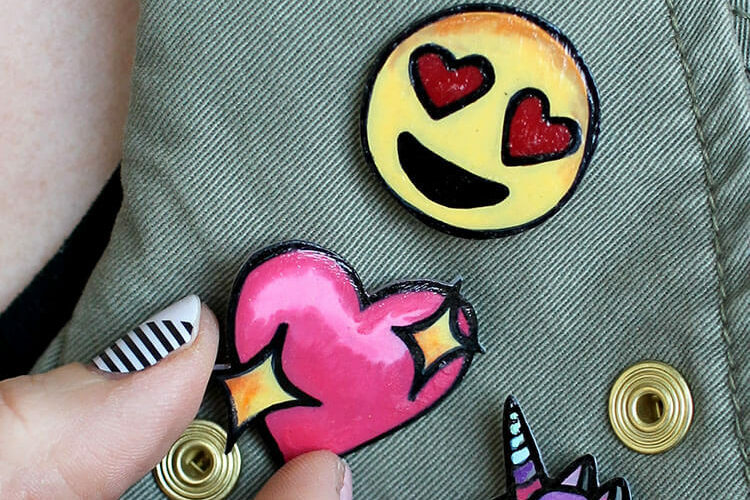 These tags have a fun and delicate paper cut design, but they are super easy to make with you Silhouette or other electronic cutter. My tag designs are available only as part of this month’s this month’s Fresh Cut bundle deal – this bundle is only available for a limited time, so get it now while you can! Start by opening the file in your software. The file contains six different tag designs each made up of a top cut piece and a backing piece. You may need to ungroup the elements in the file to separate them. Scale the tags to whatever size you would like them to be cut (make sure to keep them all sized the same). Cut the top and backing pieces from different color cardstocks, and carefully remove them from your cutting mat. 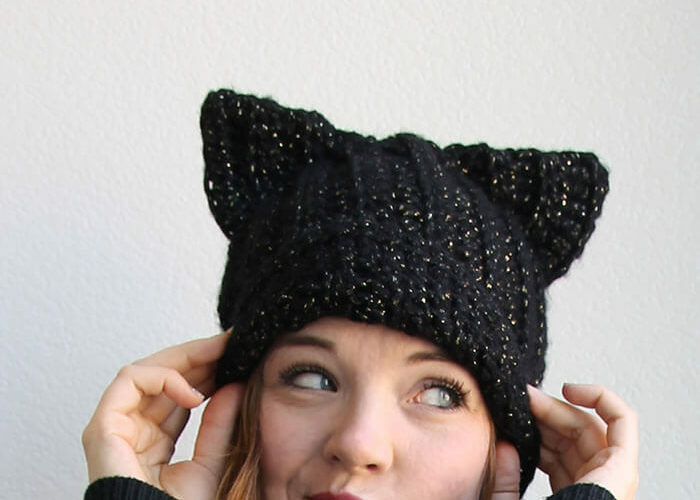 Then, simply stack the two pieces together, and tie them together with a piece of twine or ribbon. 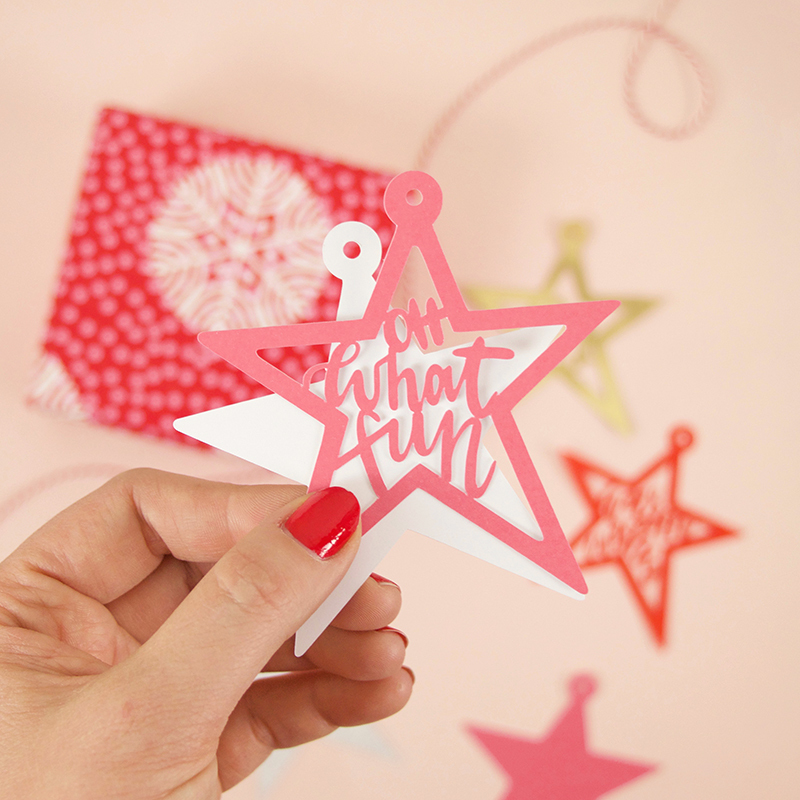 Remember, my Paper Cut Christmas Tag cut file is ONLY AVAILABLE through the Fresh Cut bundle, along with all kinds of awesome holiday gift tag and card designs from some of your favorite bloggers. This month’s bundle is extra amazing – it includes over 30 elements plus 4 bonus files! EARLY BIRD PRICING IS STILL AVAILABLE UNTIL 11/20! CLICK HERE TO SAVE 40% ON THE BUNDLE! I can’t wait to see what you all make with these files! Happy Making! PSST! 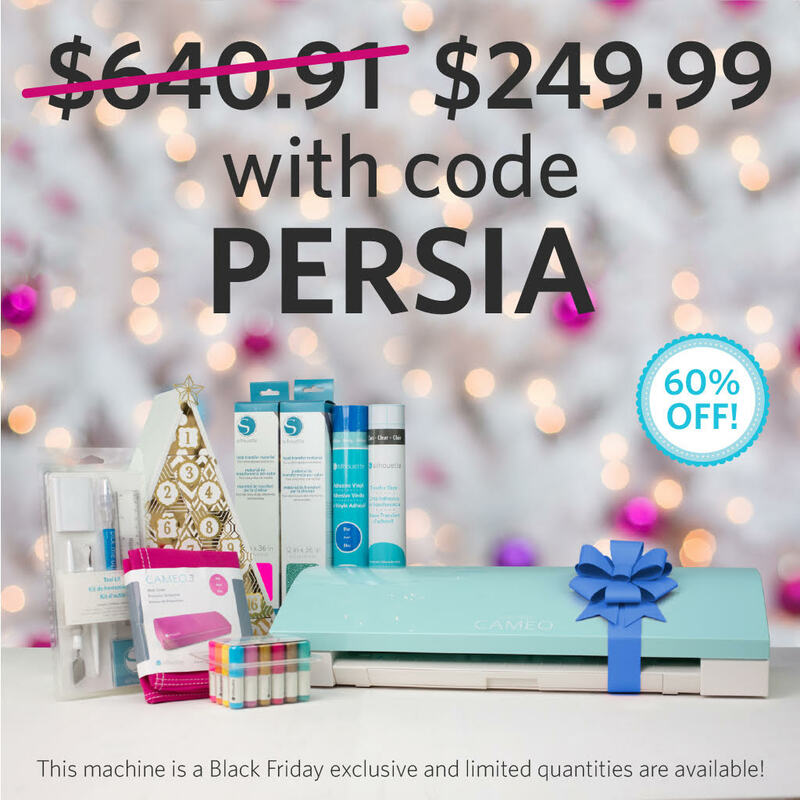 Right now through December 1st you can get an amazing Black Friday Deal on great Silhouette Bundles using my code “PERSIA”! Don’t miss these great bundles!